Local Trust - More power to the community! We are a nation of neighbourhoods. Whether home lies in a rural hamlet or an urban estate, we all value something special about the places where we live. From the corner shop and the Great British Pub to playing fields and allotments, our neighbourhoods are full of valued assets and institutions which together make up the fabric of the country. The Department for Communities and Local Government is committed to protecting and strengthening this fabric, giving communities a greater say over their neighbourhoods than ever before. The community rights, introduced by the Localism Act in 2011, are a range of ways that you can bring to life the changes you want to see locally; giving you the power to make decisions about the things that directly affect you, like owning local assets (Community Right to Bid), shaping your neighbourhood (Neighbourhood Planning and Community Right to Build) and delivering local services (Community Right to Challenge and the Our Place approach to co-production of local services). Community rights can be used individually, but they work brilliantly when used together. Let’s imagine a community group want a say over where new homes will be built. They decide to write a neighbourhood plan for their town and identify a number of valued local assets which residents cite as being very important to the town, including a community shop. Talking to some of the town’s residents as part of the plan consultation, the group also hears that the much-loved swimming baths, which that have stood on the high street for a hundred years, are to be sold by the council. Fearing a redevelopment that could go against what’s best for the community, a group of residents put in a bid for a community asset transfer from the council to their newly-formed Community Interest Company (CIC). The transfer is made and the CIC expand the baths to include a gym and café, even managing to turn a small profit. Once the neighbourhood plan is finalised and becomes an important part of the planning framework of the town, the group turns its thoughts to the community shop. With the current owner soon to retire, the group agree that the shop’s future is most secure in community ownership. After a sustained fundraising campaign and a community shares issue launched with the help of the Community Shares Unit, the shop enters community ownership. I’m sure you’ll agree that this is a very proactive neighbourhood! Yet every example has been achieved by groups across the country, and many are now bringing together two, three or more community rights uses in their neighbourhood to really take control of the local assets and services that matter to them. How can Big Local areas get involved? There is considerable synergy between community rights and Big Local vision. Both stress the importance of resident-led, partnership-based change, capitalising on the assets already present in a community, to create lasting solutions. 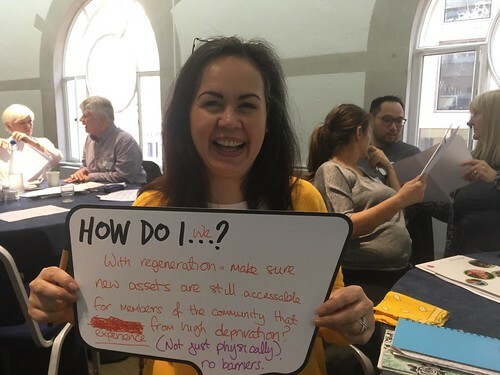 Big Local areas also exhibit the organisation, drive and creativity necessary to succeed at long-term projects like writing a neighbourhood plan or launching a community shares offer. The Inner East Preston Big Local area has written a neighbourhood plan, which has passed referendum. Going through the process has improved relations between local people and local government, leading to more joined-up thinking in relation to future development. The Newington, Ramsgate Big Local area listed their local woodland as an Asset of Community Value (video below). 'The Copse' is a 1.2 acre area of woodland which is actively used by local people and is extremely important for health and wellbeing. It joins over 2600 other Assets of Community Value across the country, from pubs to museums, town halls and even a mountain in the Lake District. The Withington Baths in Manchester (pictured below) has been used by generations of local residents since it was built in 1911. In 2013, Manchester City Council decided that the unprofitable baths would close for good. 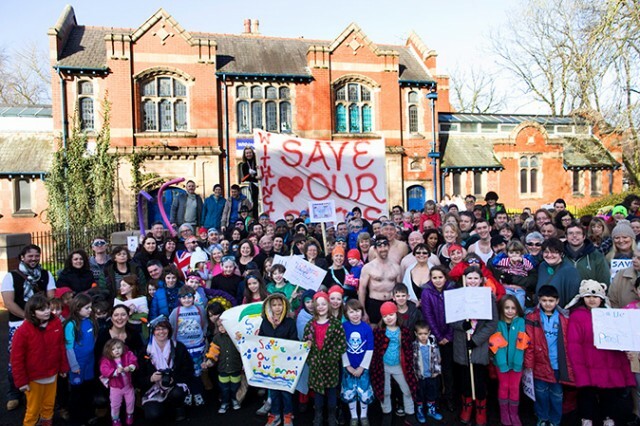 However, after a sustained campaign of awareness raising and community mobilisation, the Save Withington Baths group succeeded in a community asset transfer and now run the baths as a social enterprise. Chase Community Solar (pictured below) generate electricity from solar panels to reduce fuel poverty, reducing fuel poverty among social housing tenants in the Cannock Chase area. CCS funded their launch with a community shares offer and reached their target just four months after issue. The interactive community rights map allows you to explore all the over 3000 uses of community rights across England since 2012. Here are two great places to start if you’d like use community rights to create social change in your area. Case studies, resources and toolkits. Helpline for access to expert advice. Funding for neighbourhood planning – urban areas can get up to £16,000 to fund the writing of their neighbourhood plan. Get tips and advice from over 600 registered members involved in local social action. Online forum with regular webinars and Q and As. Blog profiling inspiring uses of community rights from around the country.